We have a total of 10 suites in 2 unique locations across the property. 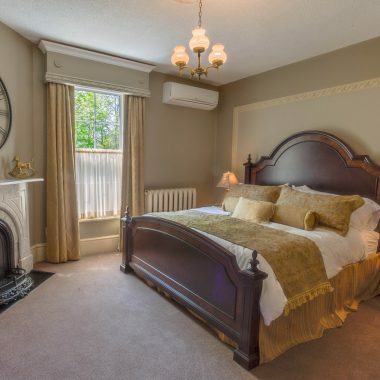 Accommodations in the main house are found on the second floor atop the grand Victorian staircase that showcases the Woodview’s elegance of a bygone era. 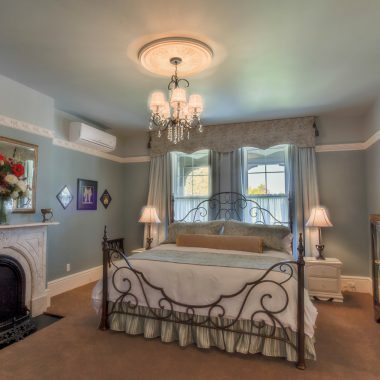 All guest rooms in the main house are equipped with hair dryers, television and self-controlled AC. 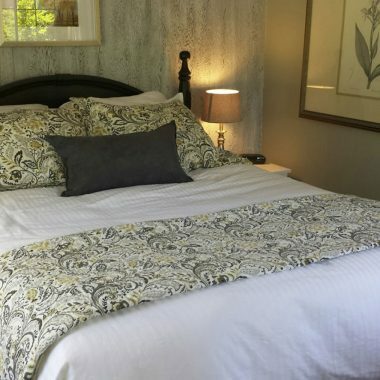 Located outside the main house, these five quaint units boast urban cottage charm, and have been renovated in 2016 with new floors, mattresses, showers and linens in order to offer guests the greatest level of amenities, comfort and convenience. These units are two steps up from ground level, making it also an ideal stay for any guest who may find stairs a challenge. 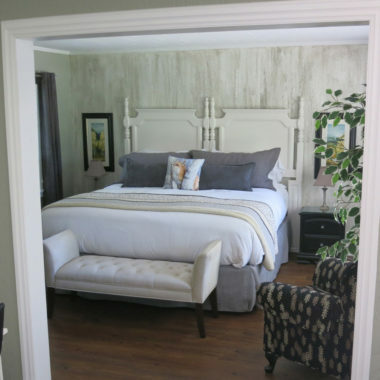 All rooms are equipped with hair dryers, coffee machines, television, self-controlled AC and so much more. A credit card number (VISA or MC) is required for reservations. Full payment is due at checkout. A 7-day cancellation notice is required. For cancellation requests 7 days or less, the full amount of the accommodation portion will be charged to your account unless we re-rent the room. Cancellation notices over 7 days are subject to a $25.00 administration fee for every room reserved and will be charged to the credit card used to guarantee the reservation(s). In the event that nights are cancelled upon arrival or the duration of the stay shortened, the guest will be responsible for the entire reservation unless the room night(s) is/are re-rented. HST (13%) is added to the price of all base rooms. Please note that the Inn and all guest rooms are smoke free. The Inn and guest rooms are also not provisioned to accommodate pets at this time. 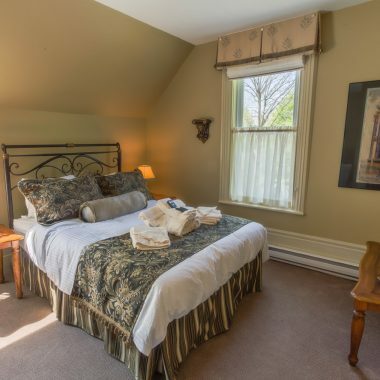 The Woodview Inn is an adult oriented hotel, and can only accommodate children over 12 years of age.